Kids birthday parties can always be a little intense. There are several kids, cake, and there has to be a constant form of entertainment. If you want to avoid coming up with an array of activities for your child and his or her friends, then check out Hot Ground Gym®. 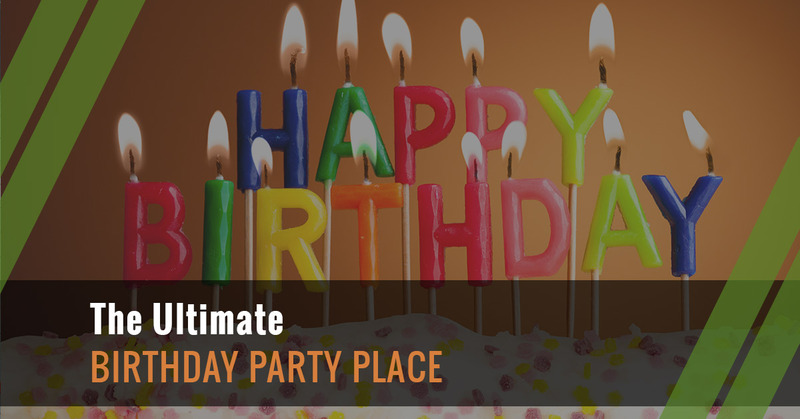 We have been voted as the best birthday party in the Chicagoland area. We’ll help create a birthday party that you and your child will remember for the rest of their life. If you want to take advantage of a unique facility for a birthday party, then we’re the kids birthday party venue for you. Does your child love American Ninja Warrior? We can help create the ultimate birthday party spot by incorporating the skills that are on American Ninja Warrior. By throwing a birthday party at Hot Ground Gym, your child will have a unique birthday that blends fun and fitness. When you choose our facility for your kid’s birthday party, you can expect a party package that’s 90 minutes long. Our facility is safe and your child will be with an experienced instructor. We have a guided obstacle course that includes everything from monkey bars to canvas nets. In the first portion of the birthday party, we will go through the safety rules as well as focus on team competition, critical thinking drills, and team building. Even if your child has never seen American Ninja Warrior, everything is high energy and it will definitely help to work off the excess cake and other birthday treats. Once we’ve gone through the guided obstacle course, then there is cake and presents to be enjoyed. What’s even neater for your birthday girl or boy is that we have an optional samurai sword or a military saber that the cake can be cut with. What’s more enjoyable than cutting a cake with such an impressive instrument? What’s beneficial about having your birthday party with Hot Ground Gym is that we are an active birthday party. That means you won’t have to worry about cake getting on different furniture in your home and you definitely don’t need to worry about what you’re going to do with a bunch of kids for an entire afternoon. Instead, you get to enjoy seeing your child turn a year older while our instructors take over the private birthday event. What’s neat about having your birthday here is that your child is will enjoy a great time while also learning something and getting fit. By building on teamwork and cooperation while enjoying spending time with friends and family, your child will unknowingly be getting fit and learning lifelong skills. In addition, who can resist a cake cutting ceremony with a real samurai sword or military saber? When you choose our facility for your kids birthday party, your child will love the experience and they’ll get a week of Junior Boots™ kids fitness training at our gym. If your child is turning a year older, then take the time to contact Hot Ground Gym to start planning the perfect kids birthday party.